A weekly digest of What’s On in and around Calgary this weekend including free, fun family & kids’ activities, live music, theatre & performing arts, sports and exhibitions. The Calgary Comic & Entertainment Expo (Calgary Expo) is a four-day annual celebration of all things pop culture including comics, sci-fi, gaming, fantasy, horror and more held each spring in Calgary at Stampede Park. Wherever the Three Moosketeers are, adventure and fun are sure to follow. The Loose Moose Theatre Company makes going to theatre an experience that is truly magical for children 4 – 10 years old, as well as fun and entertaining for parents. Join us and be part of a massive, nation-wide celebration of dance! Details and link for registration. 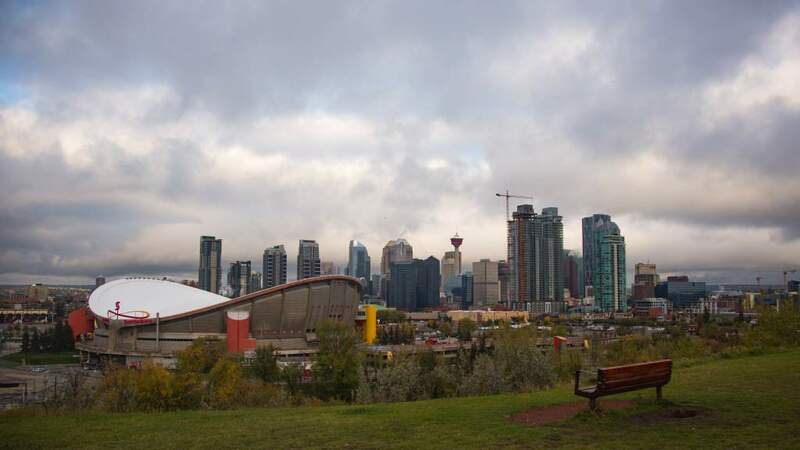 Subscribe to our Calgary Newsletter! A free, family-friendly event at various venues throughout Inglewood and the Music Mile! Whether you’re a jazz aficionado, or just want to check out something new, the Jazz Walk has something for you! Calgary Jazz Orchestra directed by Johnny Summers presents the music of Louis Armstrong and Maria Schneider. Two juxtaposing concerts with music that will take you to another place and have you grinning cheek to cheek. Presented in collaboration with Wordfest, this unique and extraordinary concert presents three brothers from northern Alberta – a composer, an author, and a playwright – sharing the stage for the first time. Giller-winning author Will Ferguson shares images and stories of growing up in northern Alberta. For all the serious, awe-inspiring church music that came out of the Renaissance, there is an equally impressive body of bawdy melodies, drinking songs and outright musical hilarity! Come and experience some Renaissance-era humour with Calgary Renaissance Singers & Players! Formerly known as the Kiwanis Festival, CPAF is an integral part of Calgary’s arts, music & culture community and is committed to amateur performers of all ages and skill levels. This Tony Award-winning musical is an inspiring and moving tale about the importance of following your heart. Set in working-class England, young Billy dreams of trading in his boxing gloves for ballet slippers, but his widowed father cannot understand his passion. MAGNETIKAE — An Arctic flamenco tale by La Otra Orilla. Charming, mysterious, hilarious, and poetic – a timeless play about the passing of time. Samuel Beckett’s ‘Waiting for Godot’ is one of the most iconic and significant plays of the 20th century. Drawing endless interpretations, it crackles with deadpan wit and linguistic invention, as well as offering compelling glimpses into our existential absurdity. Princess Ida is having nothing to do with men, never mind love, or marriage. She is so firm in her belief that she has locked herself away in a University, attended only by women, and that is exactly where she plans to stay. She was betrothed to young Prince Hilarion from a very early age, and her failure to arrive to meet him with her father, King Gama, could be interpreted as an act of war, but still, she is having none of it. The Climb for Wilderness provides learning opportunities and the challenges to climb all 1188 stairs and raise funds for Alberta Wilderness Association. Mount Royal University and run along Mount Royal Gate, continuing on 50th Avenue S.W., then running south on 21 Street S.W. Enjoy an evening with guest chefs from around YYC as they create new, produce inspired dishes. Interactive appetizer & cocktail reception followed by a 4 course plated dinner and finished with a gorgeous dessert bar. High-Energy Music, Blacklighting, Laser Lights & LED Sticks, Into One Mind Blowing Combination. Experience a perfect balance of Sound Systems mixed with a spectacular Light show! Capitol Hill Community Association are hosting their first ever Craft Beer Festival featuring four of Alberta’s finest craft breweries. Join us to sample some craft beer made locally. Calyx invites you and your friends to join us for our 37th. semi annual art exhibition and sale. We have a wide variety of Canadian artists joining us with Paintings, Pottery, Jewelry, Glass, Fibre, and more! YYCFoodTrucks are fresh out of their winter slumber and awakening from hibernation for another fantastic summer of great food, music, community and great events! Over 25 artists in attendance showing painting, jewelry, glass, photography, ceramics, sculpture and textiles. Comfortably browse and shop for unique gifts for Mother’s Day, weddings, birthdays, graduations, special holidays, retirements or treat yourself with fine art. Pet Expo is a 2-day consumer tradeshow that is open to the public. At the show you will find hundreds of pets, pet products, service providers, entertainers, clubs and organizations that cater to pets. Dolls of all shapes & sizes, teddy bears big and small, Barbie, fashion dolls and scale miniatures from antique to modern. 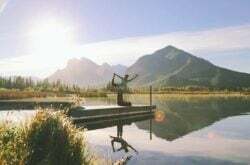 Wanderlust is the perfect way to inspire your inner local tourist: see brand new homes, dig into some street food, bring the kids for some face painting, and when you visit the showhomes, you can enter to win an overnight Nordic spa date for two at the Kananaskis Mountain Lodge. Join Alberta Theatre Projects for the 26th Annual Celebrity Hors d’Oeuvres event. Local celebrities and the city’s finest chefs team up for an amazing hors d’oeuvres competition! It’s Calgary’s famous food frenzy! Founded on the belief that garments should inspire confidence, pride and self-assurance, FARI HARA Custom Menswear presents its first ever unisex fashion show: ‘EMBODIMENT’. Powered by 10x Music & Culture, this event bridges the gap by highlighting individual expression, tailoring perfection, and modern artisanal design. Join us in celebrating William Shakespeare’s Birthday and recognize some of our long term supporters as well as help us fundraise for our next season. Our silent auction always has a great variety of prizes to bid on from local businesses. All money raised during the event will directly support The Shakespeare Company’s upcoming season and programming. This event includes a five course traditional easter meal. Everything is vegan, and gluten free options are available. The menu design and creation is by our Head Chef Tara Shepherd. Our menus are always created with care, precision and a deep creative process. We’ll be bringing you some of YYC’s & Vancouvers top drag talent! Hosted by none other than your local hip “G-ma” Mr. Terri Stevens! and her majesty Queen of Vancouver Misty Meadows. The Airdrie Home & Lifestyle Show, presented by Chinook Gate is an excellent way to connect with your community plus explore home and lifestyle solutions. With over 200 Exhibitors in attendance, there is something for everyone! Come to shop, compare, try and buy. Where else can you spend $5 and be entertained for the day? Shop, eat, listen and learn from experts, enjoy amazing artwork and get a bag full of free goodies for the first 250 attendees each morning! Join us for Cinematic Sundays – A curated series of afternoon film screenings. See these fantastic films celebrating the world of art, style and fashion on the big screen! Bar service is offered during the films and you can purchase a snack too – make sure you try the decadent baked goods of Calgary bakery Soy Milk & Vinegar. Kusama: Infinity explores contemporary artist Yayoi Kusama’s journey from a conservative upbringing in Japan to her brush with fame in America during the 1960s — where she rivaled Andy Warhol for press attention — and concludes with the international fame she finally achieved within the art world, in spite of her battles with sexism, racism, and mental illness. Join the Revolution and ask brands #Whomademyclothes? We have events each night, so make to get involved in the discussion and play your part in creating a more sustainable fashion industry. Fashion Revolution Week YYC represents Calgary’s participation in a global annual campaign in April, which falls on the anniversary of the Rana Plaza factory collapse in Bangladesh, which killed 1,138 people and injured many more April 24, 2013. Glass can reflect, magnify, project and hold light to glow. Jill Allan’s scrumptious glass creations sculpt light, bend colour and bring joy to every home and body. Various ceramic pieces by Robin Lambert, Brenda Malkinson and Giselle Peters. Drawn largely from the extensive fashion and textile collection of the Royal Ontario Museum, the exhibition includes exquisite gowns and smart daytime apparel, perfumes and accessories – all from the first ten years of the House of Dior (1947 – 1957), when Christian Dior himself designed the pieces. We do try to make the listings as accurate as possible, but there may be oversight errors or events may get postponed/cancelled without notice. Verify all details from concerned Event Websites/officials before travelling. Hey Douglas this is a…things to do site not a public opinion site. Douglas – Life must really be difficult for you, especially when you’re flagrantly entitled. God forbid there be any opinion that differs from yours. Grow up. Always a pleasure to be able to scroll through all the wonderful options that you have so thoughtfully laid out for all of us. Thank you so much for helping me plan my next adventure in our fabulous city.